Kauai Helicopter Tours Review, Is it worth it? Some good friends of ours described Kauai as “the most beautiful place on earth,” and while we were there I felt my heart aching a little bit at how lovely it was. It almost hurts your eyes. In an effort to capture memories of this enchanted isle from every angle possible we explored the coastline by boat, and booked (my first!) helicopter ride to view it from above. Riding in a helicopter has long been a “bucket list” item for me and Kauai was the perfect place to check it off the list. 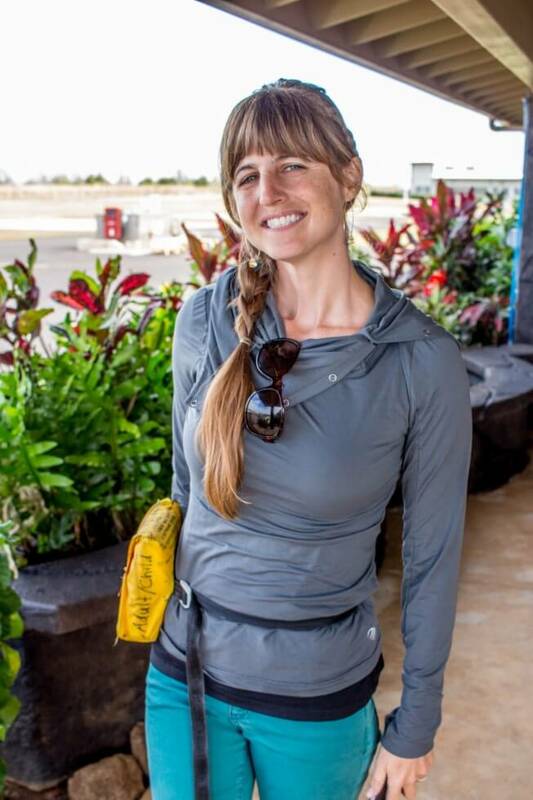 We read consistently great reviews of Blue Hawaiian and so booked our tour with them. They were named “Hawaii’s premiere helicopter tour company” by National Geographic and have been in business for 30 years. You can’t get more legit than that, right? The tour is 50-minutes long and within the first few minutes we were soaring over the spectacular Hanapepe Valley. From there we continued to explore waterfalls and canyons, getting up-close views of some of the most remote and untouched parts of Hawaii. It felt like flying back in time, which may in part be due to how much of the island was used in the filming of Jurassic Park. Many of the views we saw are only accessible by helicopter while others we would explore later by foot. We loved getting to see the Mars-like red earth, the epic Na Pali Coast, pristine Hanalei Bay and the staggering Waimea Canyon from the sky and the ground. One of my favorite things about the day is that the pilot did not seem at all accustomed or bored by the flight that he must make hundreds and hundreds of times a year. He was very engaged and informative, enthusiastically pointing things out. His knowledge of Kauai, the people and the land, added greatly to the trip. When we flew over Mt. Waialeale, and then into the heart of the ancient volcano I caught him shaking his head and just exhaling a “wow.” He was just as awestruck on his 500th flight as we were on our first by the splendour and beauty of flying into the center of the crater with its 5000-foot walls towering above and around us. Not only did it live up to my expectations but it was so fun it just moved from my “bucket” list to my “things I want to do at any opportunity” list. Or maybe even “things I want to eventually go to school for and learn how to operate myself” list. At $ 210.65 (online price requires 5-day advance booking), it is definitely not an inexpensive trip. I have read online that Costco sells $100 Blue Hawaiian gift cards for $80 each, which helps to cut down some on the price of the trip. Whether or not it’s worth the splurge it is a pretty personal judgement call, but Tom and I tend to value experiences over things and these memories are something I will hold onto forever. We also tend to think, that if we’ve already spent the money to get to Kauai, why would we miss the opportunity to get a truly breath-taking view of the entire island? How often are you going to be on Kauai with an opportunity to view some of the world’s most incredible landscapes from above? Flying in a helicopter was something I had always wanted to experience and I am so, so glad I did it for the first time in Kauai. If you do decide to book a tour, I cannot imagine a better company to go with than Blue Hawaiian. Many thanks to Blue Hawaiian for this excursion. As always, all opinions are our own. Been on my bucket list ever since I was on Kauai several years ago. You are making me itch for a return. Just writing this post made me itch to go back and do it again! Jenny: That looks amazing. Hawaii has been firmly in my radar for a long-time, and researching a trip I came across your post. The breakdown was super helpful to help consider whether this would be in my budget. How could the pilot get bored??? Awesome. 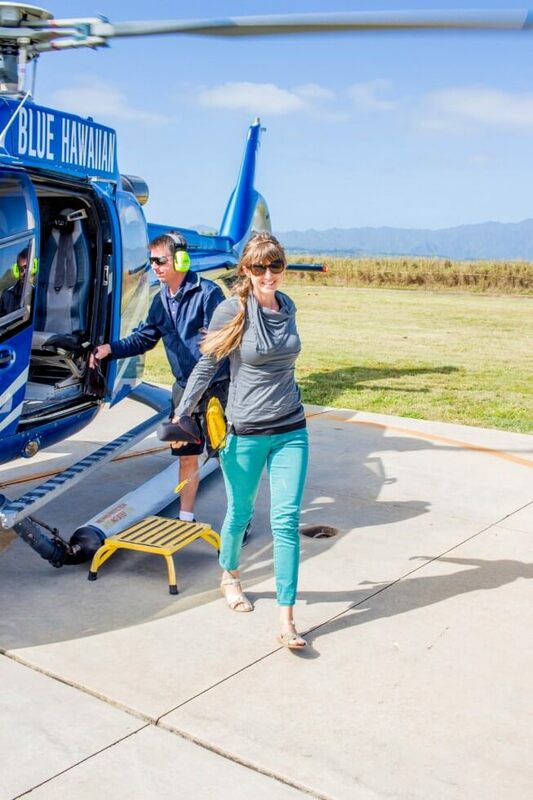 I’ve never taken a helicopter ride, but I think kauai would be a great first place to try it! Beautiful photos! Thanks Amy, it was! A helicopter over a glacier in New Zealand sounds seriously epic! This sounds like an amazing experience. When I finally make it to Hawaii, I definitely want to see it from above! Scott – Quirky Travel Guy recently posted…Check out my new ‘choose your own adventure’ book about Chicago!